Showing 23 articles from April 19, 2015. 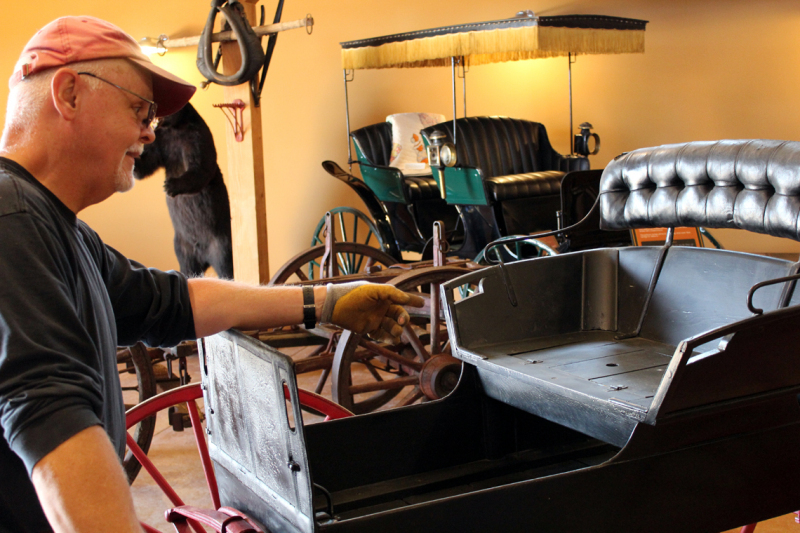 Jerry Bowman, curator for the Northwest Carriage Museum, arranges the latest displays for the opening of the new "barn" expansion. If you have not been to the Northwest Carriage Museum lately, you may want to take the opportunity this Saturday, and stop in for the "Barn Raising" as the latest addition to the museum is officially opened. In less than two weeks, Vader will be holding their yearly May Day celebration, kicking off the region's annual summer festival season. Scheduled for May 2 in Downtown Vader, this year's theme is "Trains, Tractors and May Flowers," with activities and parade entries to center around these topics. Confirmed activities include breakfast at the Little Falls Masonic Lodge, performances from the Noe No Ka Mauna hula group and Mexico Within the Heart dance group, as well as the annual Cake Walk, a bike giveaway and games by Little Crane Café. Chris Rust has been officially confirmed as the next superintendent of the Toledo School District after the School Board approved a contract for his employment Thursday night. Currently principal of Warden High School, Rust will begin his superintendency July 1 and told Town Crier his priority will be to continue learning about the community and the district. The Winlock School Board has authorized the signing of a lease with the Archdiocese of Seattle to use nearby classroom space once utilized by the local Catholic church. 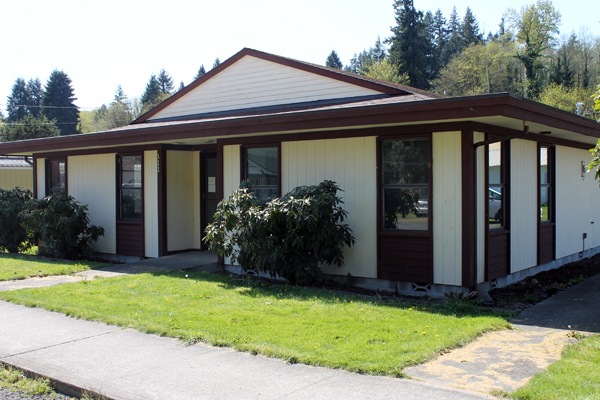 Approved during the board's April 15 meeting, the lease allows the district to occupy a 2,360-square-foot building located at 411 NE Fir St., just a block from Winlock Miller Elementary School, starting July 1 of this year, with the option to renew the lease every year afterward. The spring Garage Sales will be this weekend, so I expect to see lots of folks visiting. Town folks having Sales are asked to mark their addresses on the maps located in Community Hall, the Café and the RISA office. For residents who aren't having their own sales, the Women's Club will accept donations for their big sale every day until the Sale. The Veterans will sell jumbo Hot Dogs with all the fixings both days of the Sale. That will be at Community Hall from 11 a.m. to 2 p.m. On Friday, the Café will serve French Dip Sandwiches from 4 - 6 p.m. No reservations are required and the cost is $6. April 23 Bingo Night at Toledo High School Commons sponsored by THS FCCLA 6 p.m. with Toledo Middle School FCCLA hosting concessions. $5 cards plus specialty games (extra). Help send local Family Career Community Leaders of America to Nationals. Contact Rene Ketchum, rene@toledo.k12.wa.us or visitwww.fccla.com. The weather has been great, and boy have the grass and shrubs been growing. All this means an added workload for local Park Board volunteers, especially as May Day is approaching. If you have a free weekend, or a free afternoon, give them a call and see if you can help with their ongoing projects. For more information, contact Park Board Chair Steve Krohn at (360) 880-6281. Just 10 days until May Day, so be sure to enter your float in the parade, or prepare some food and/or wares to sell at the many vendor booths. Interested vendors should call Judy Costello at (360) 295-3036, while parade entry forms can be found at J & G Grocery and Cedar Village IGA, or by calling Janet Charlton at (360) 295-3011. We had an overwhelming response to including the events a week ahead and we have decided to mention events that are not more than 8 or 9 days out, I am sorry for the confusion and hope you are able to enjoy one of the following events listed. How does Medicare cover home health care? Because of my illness, my doctor suggested I get home health care, but I want to find out how it's covered before I proceed. Spring is here and Spring Things are happening. My name is Dave Germain. I live in the Toledo area and have been here since 1990. I have been an EMT since 1976 and a Paramedic since 1980. I worked as a professional Firefighter/Paramedic for 27 years. I have also worked for several private ambulance companies, one hospital-based EMS system and a multi-fire district EMS system similar to the Lewis County Medic One system. I have been following the reports in the Town Crier of the Medic One system's current financial woes. Originally the system was District 2 (Toledo), District 20 (Vader/Ryderwood) and District 15 (Winlock) as the founding stakeholders. At some point Napavine, Salkum, Onalaska, and Mossyrock signed on as contractees. Come to Super Saturday April 25th at the Pacific County Fairgrounds. It is a free family event for youth of all ages. Super Saturday is four hours 10 am to 2 pm of hands on activities for children and their parents. A joint sewer system with Winlock is still one of the options being pursued by the City of Napavine as they continue responding to increases in their costs to receive service from Chehalis. Napavine has been exploring the possibility of joining with Winlock, or building their own plant, after Chehalis completed a rate study last year and found Napavine was underpaying for services, leading to a proposed increase of 70 percent in the city's payments for wastewater treatment. The City of Winlock has received $23,000 from the Evelyn Miller Trust Fund to update the city's water system plan and better-qualify for grant funding in the future. Announced Friday by Mayor Lonnie Dowell, funding from the trust had been request by Winlock last month after the city allocated $23,000 from reserves for the plan update, seeking reimbursement for the transfer. The Pe Ell-Willapa Valley Lady Titans played two games against the two time defending state champions, the Toutle Ducks last Wednesday, April 15. 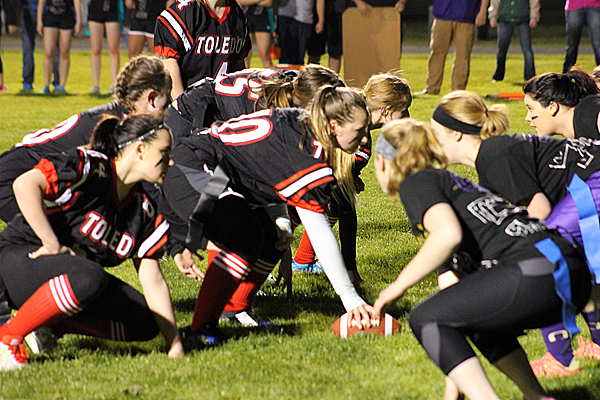 The Onalaska Loggers beat the Toledo Indians 14 to 12 Friday night during the first-ever powder puff football game between the two schools. Organized largely by students, players said they came up with the idea for the game in response to Toledo High School's Mr. T competition, a pageant spoof held for the senior boys annually, stating they wanted an activity unique to the senior girls. A rundown of recent local games for the week of April 22. The Castle Rock City Council has tabled a decision to increase the base salary of Police Chief Bob Heuer as a vote to do so was tied with only four council members present at the time. Discussed during the Council's April 13 meeting, a motion to increase Heuer's salary by 12 percent failed to pass after receiving just two affirmative votes from Council Members Earl Queen and Lee Kessler, while Council Members Ellen Rose and Ray Teter voted against it. 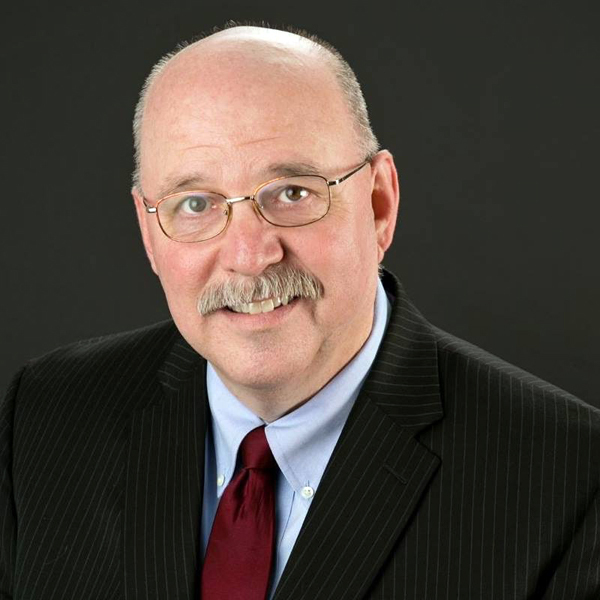 Because the matter concerned city finances, Mayor Paul Helenberg was unable to cast a tie-breaking vote, as per state policy, while Council Member Mike Davis was absent and is expected to weigh in on the matter at the council's April 27 meeting. Local fire and EMS calls between April 13 and 19.